Internal cutting enables complete severance and confirmation of subsea cuts. Our IMCT uses AWJC technology to sever conductor casings internally at least 15 ft (5 m) below the mudline, without the need for external dredging. The IMCT accommodates standard API casing sizes from 7 in to 20 in, and can be deployed from a platform, drilling support vessel, drilling rig, or heavy lift vessel. In conjunction with the IMCT, we offer a 250-ton confirmation system that verifies cuts, which reduces costs and saves heavy lift vessel time. Offering an alternative to a costly drilling rig, our wellhead picker is a lifting connector that houses the IMCT cutting assembly and latches onto the wellhead profile. This combined assembly can cut and recover a wellhead to the surface in a single deployment. 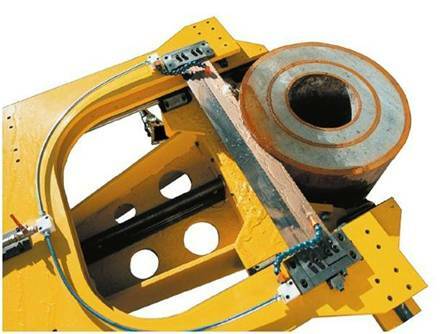 This tool severs piles, caissons, and braces internally at least 15 ft (5 m) below the mudline, using AWJC technology. The ICT completes mid-water cuts on jacket legs and risers to enable safe and easy recovery of piles through the jacket. Standard ICTs cut pile diameters from 20 in to 120 in, but can be modified for smaller-diameter cuts. External cutting solves cold cutting challenges in deep and shallow waters. Our ROV-operated external cutting tool (ECT) enables external cutting of jacket legs, pipelines, and bracing, as well as subsea window cutting of tubulars. The tool uses a high-pressure slurry hose from the surface to feed the abrasive material. The ECT cuts 16-in to 72-in OD pipe, and can cut more than 10-in wall thicknesses (or several layers) at speeds up to 20 in/min. We also offer shallow-water and surface-installed AWJC tools for cold cutting operations. Various configurations enable a range of applications, including linear cutting of windows on a sunken submarine, splitting a 20-ft (6-m) pressure vessel in half, and abrasive hole cutting. Our mechanical cutting solutions deliver safe, complete cuts in less time. Our system for surface sectioning of multi-string conductors is the industry’s most efficient and proven system for removal of oil and gas wells. We perform comprehensive structural analysis of the conductor assembly prior to and during the lifting process. We make an internal cut below the mudline, pull the predetermined segment length, and automatically clean the conductor surface. Our dual drilling machine and guillotine saws section the conductor and eliminate the risk of igniting hydrocarbon pockets in the casing annuli. We deploy our pipe cutting and beveling tools to cut piping and casings, complete weld preparations, and to counter bore pipe or tube diameters up to 84 in. Our tools cut pipes and tubes in all standard materials and wall thicknesses, offering time savings and improved cut quality when compared with traditional cut and grind methods. Our subsea guillotine saws are designed to deliver safe and efficient subsea cutting of pipelines, bracings, and beams. We offer diver- and ROV-deployed solutions for assets with outer diameters from 5 in to 32 in. Our patented, dual-blade system makes multiple cuts quickly and reliably in a single deployment.